All You Need to Know About the Oscars - Newsum! The Academy Awards, also called the Oscars, are undoubtedly, the most prestigious awards for excellence in artistic and technical merit in the film industry. They are given away by the Academy of Motion Picture Arts and Sciences, the world’s most renowned organization related to cinema and movies. With the 91st Oscars due to be held in less than a month, we thought we’d give you all the information that you’d like about this very prestigious award. In 1927, during a dinner at the home of the chief of the M-G-M studio, Louis B. Mayer, the idea of initiating a group for the benefit of the film industry was floated. Subsequently, a proposal for the founding of the International Academy of Motion Picture Arts and Sciences was put forth. Soon after, the members of the Academy were selected. One of the first proposals put forth by the Academy was to present awards in recognition of excellence in cinema. Consequently, the first Academy Awards were held in May 1929 and were awarded in 12 categories with just 270 people in attendance. It was held at the Hollywood Roosevelt Hotel in Los Angeles, California. However, various categories have been added consistently. For instance, the categories of Film Editing, Music Scoring, and Song were added in 1934 followed by the Supporting Actor and Actress in 1937. Only in 1939, was the first award for Special Effects given. The Documentary category was added in 1941. In 1982, a new category for Makeup was announced. 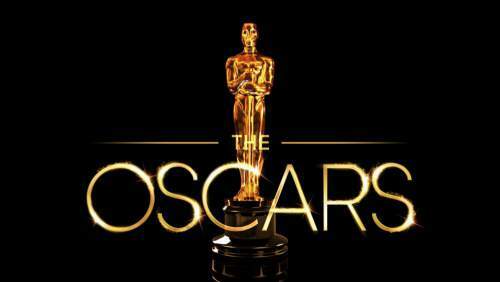 At the 91st Academy Awards to be held in 2019, awards will be announced in 25 categories. In 1953, the first televised ceremony of the Academy Awards took place. However, this was available only to audiences in the United States and Canada. In 1966, the Oscars were televised in colour for the first time ever. In 1969, the awards were broadcast internationally for the first time ever. From 2002 onwards, the event has been held at the Dolby Theatre, originally called the Kodak Theatre. The statuette given away to the Academy Award winners is perhaps the most recognized trophy in the world. It is a knight holding a crusader’s sword, standing on a reel of film with five spokes. The five spokes represent the five original arms of the Academy – actors, directors, producers, writers, and technicians. It is made of solid bronze and is plated in 24-karat gold. Its official name is Academy Award of Merit. It weighs around 8.5 pounds and is 13.5 inches tall. George Stanley from Los Angeles was the sculptor and it was designed by Cedric Gibbons, the chief art director at Metro-Goldwyn-Mayer. The fine art foundry, Polich Tallix in New York is the official manufacturer. It is not known why the awards have been called ‘Oscars’ but one famous story says that when Margaret Herrick, the Academy librarian, saw it for the first time, she remarked that it looked like her Uncle Oscar. In the first year in which the Academy Awards were awarded (1929), the recipients of the award were announced three months in advance. However, from the subsequent years, the results were kept a secret. But, the list was given to newspapers for publication in their late night edition of 11 pm. This happened until 1940 when the Los Angeles Times published the winners of the awards before the ceremony was held! Ever since, the sealed envelope system has been in use. The awards are generally made of metal. However, due to a shortage of metal occurring due to the second World War, Oscars for three years were made of painted plaster. Post the war, the recipients were invited to exchange their plaster figures for gold-plated ones. In honour and memory of Martin Luther King Jr., who was assassinated in April 1968 and whose funeral was held on 9th April, the Oscars were postponed from 8th April to 10th April. They were postponed for 24 hours, again, in 1981 due to an assassination attempt on the President of the United States, Ronald Reagen. Since 2002, the Academy has announced a 45-second rule for speeches given by recipients of the award. If the speech goes beyond the stipulated time, it is cut off by the orchestra. Bob Hope has the unique distinction of being the host of the awards ceremony for the maximum number of times – 19. Since 1950, the regulations of the Academy stipulate that winners and heirs cannot sell their awards without first selling it back to the Academy for $1. Until 1989, the phrase used to declare the winners was: “And the winner is…” However, this was revised to “And the Oscar goes to…” from the subsequent year. With 26 awards, Walt Disney holds the record for the maximum number of Oscars held by an individual. These include four honorary awards. Katherine Hepburn, with four Oscars, holds the distinction for winning the most awards for acting. She won it for On Golden Pond (1981), The Lion In Winter (1968), Guess Who’s Coming To Dinner (1967), and Morning Glory (1933). Daniel Day-Lewis is the only actor to have won the award a record three times. He won it in1990 for his role in My Left Foot, in 2008 for There Will Be Blood, and in 2013 for his role in Lincoln. Three movies share the record for the maximum number of Oscars for any film – 11. They are Ben-Hur (1959), Titanic (1997), and The Lord of the Rings: The Return of the King (2003). The first awards for the Best Actor and Best Actress were awarded to Emil Jannings and Janet Gaynor respectively. The youngest winner of the award is Tatum O’Neal, who won the Best Supporting Actress for the film Paper Moon (1973). She was merely 10 years old at that time. Kathryn Bigelow became the first woman to win the Best Director award when she won it for the film The Hurt Locker in 2009. Heath Ledger and Peter Finch are the only actors to be awarded an Academy Award posthumously, for The Dark Knight (2008) and Network (1976) respectively. We are extremely excited about the 2019 Academy Awards and will keep you posted on the results. Whom are you rooting for?